Will it be traditional and formal? Will it be creative, flowy, and fun? Will it be modern and posh? The truth is, there’s a lot more to your font choice than meets the eye. 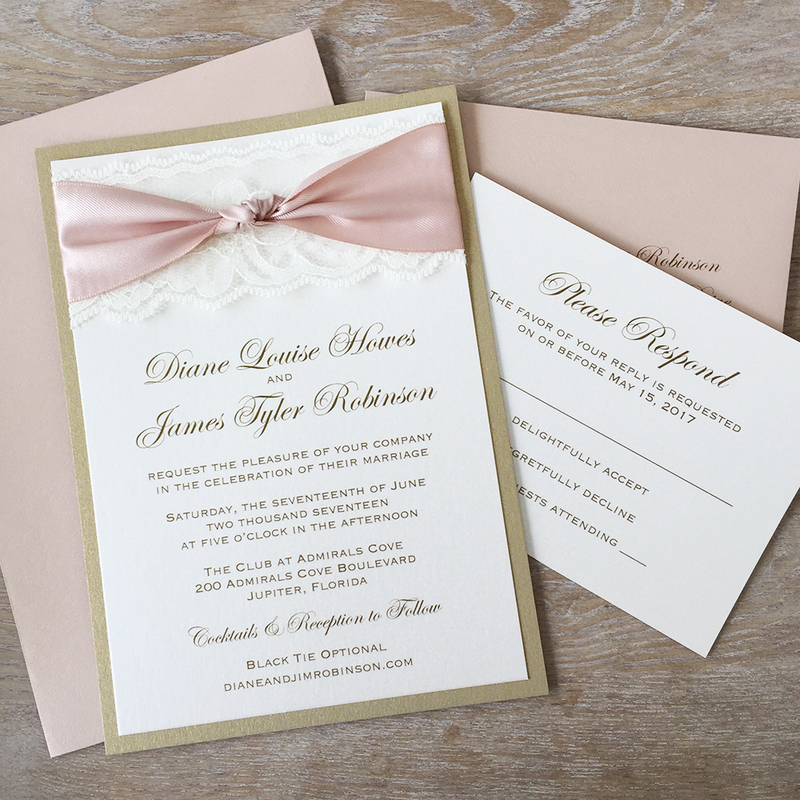 Use these tips to help create your perfect wedding invite, and remember – details matter! In most cases, you’ll want to fill your wedding invitations with two contrasting fonts (such as a scripted texted paired and an easier-to-read typeface). 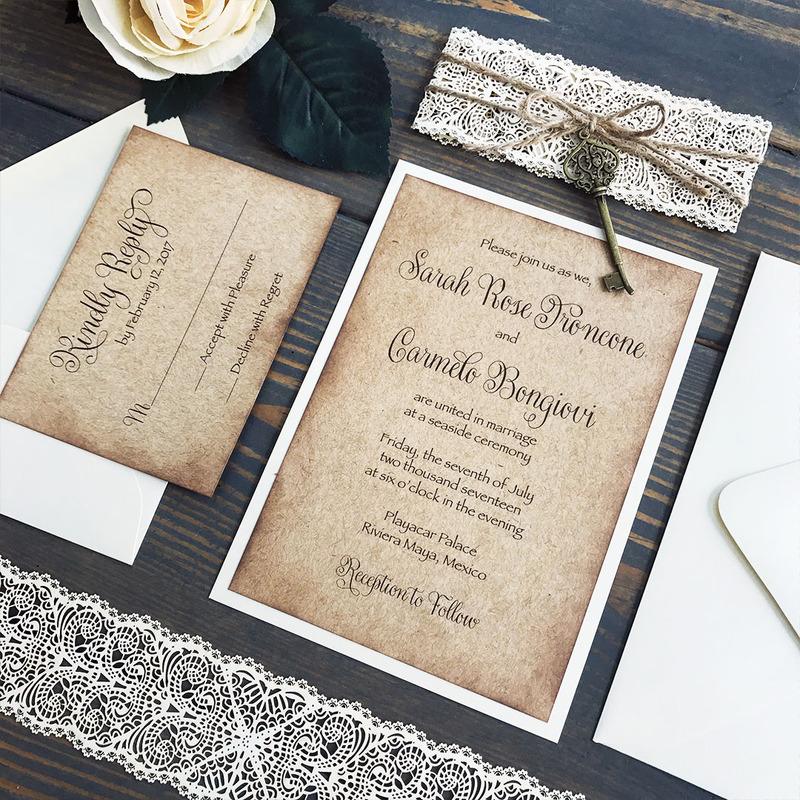 Contrasting fonts will not only make your invitation visually interesting, it will also draw attention to the wording you want highlighted (such as you and your husband-to-be’s names). Get inspired by searching through the PAPER & LACE shop to get an idea of what fonts previous clients have paired together for their stationary. Contrasting colors are also a great way to switch things up and highlight the specifics of your wedding. Tie in the colors of your theme’s palette to keep things uniform. Warmer colors like reds and oranges look best on light and wispy fonts. Cooler colors like blues, greens, and purples look best on bold and chunky fonts. Traditional fonts exude formality and elegance. These fonts (usually scripted) show that the couple and the wedding itself will lean toward being more classic. Go with a traditional font if you love the idea of beautiful, flowing letters, and are planning a special day that will be all class and sophistication. A quirky, playful font shows that the couple is filled with personality and can’t wait to celebrate the beginning of their marriage with music, dancing, good food, and the company of their loved ones! These whimsical fonts best fit into a wedding that will be more laidback and casual – an outdoor or backyard setting, perhaps. 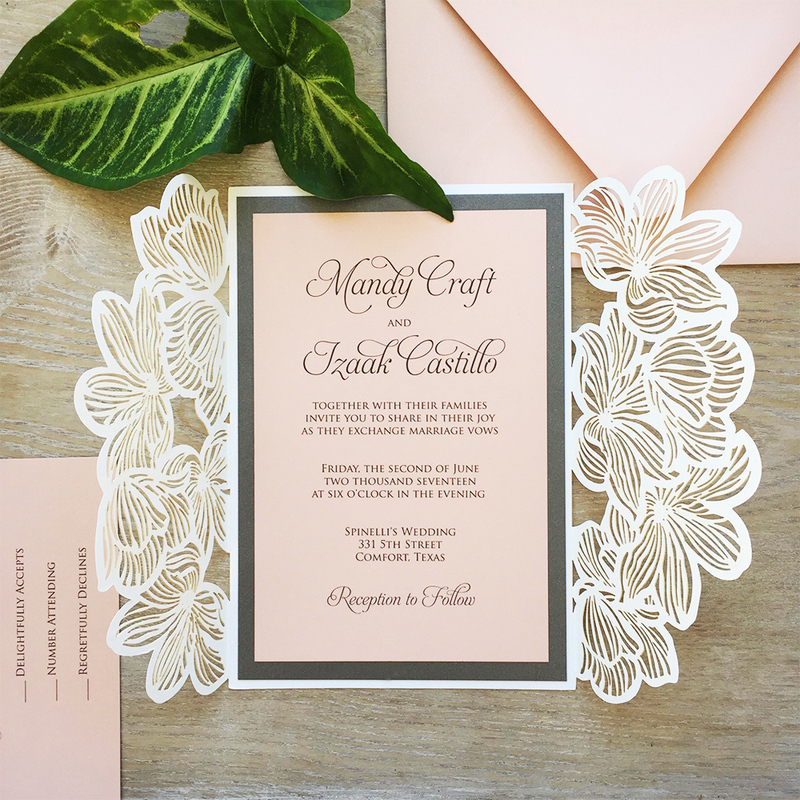 A font that’s considered “playful” can very easily steal the stage of the entire invitation, so it works best when paired with simple and sleek design elements that don’t mind being outshined. To achieve the perfect vintage vibe, consider pairing big, vintage script fonts with something more traditional when it comes to your contrasting typeface. 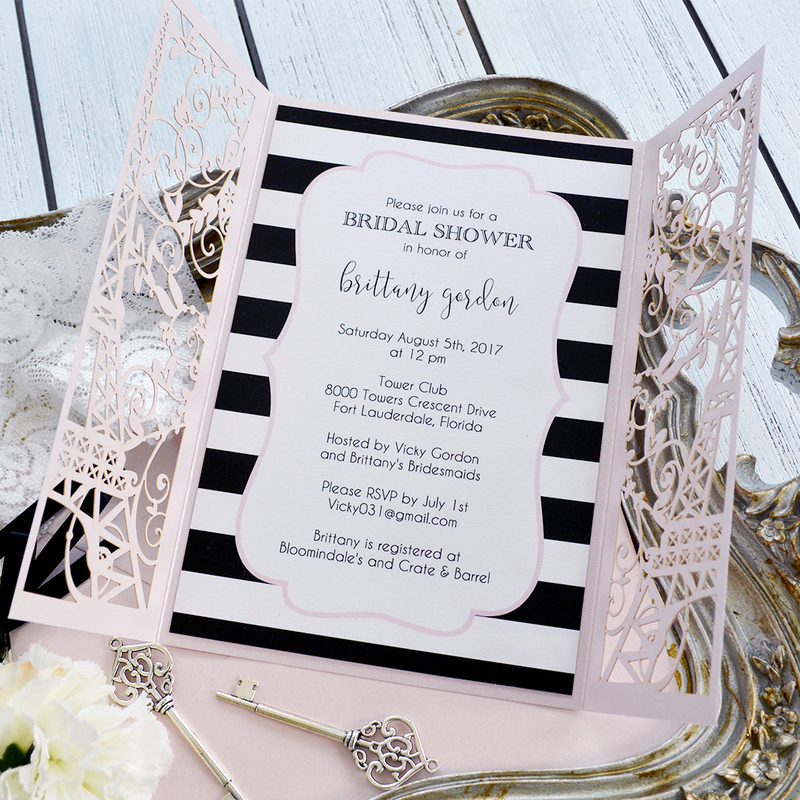 If a more modern wedding is on your agenda, adorn your wedding invites with a font that’s bold, youthful, and trendy. A modern party calls for equally fun and fabulous text, but similar to playful fonts, mod type is powerful. That being said, any additional style you use should be simpler to avoid competing for attention. Think of the other fonts as backdrop for a stage. If the couple is particularly artsy, the wedding invite sure has some big shoes to fill! Go with a main font that is dramatic – big, curvy, bold, and/or wispy whimsical! Your invitation stock is your canvas. You may also want to consider mixing several different fonts to create something especially unique! After all, the theme of the big day will almost certainly be a mix of several different styles and colors as well. 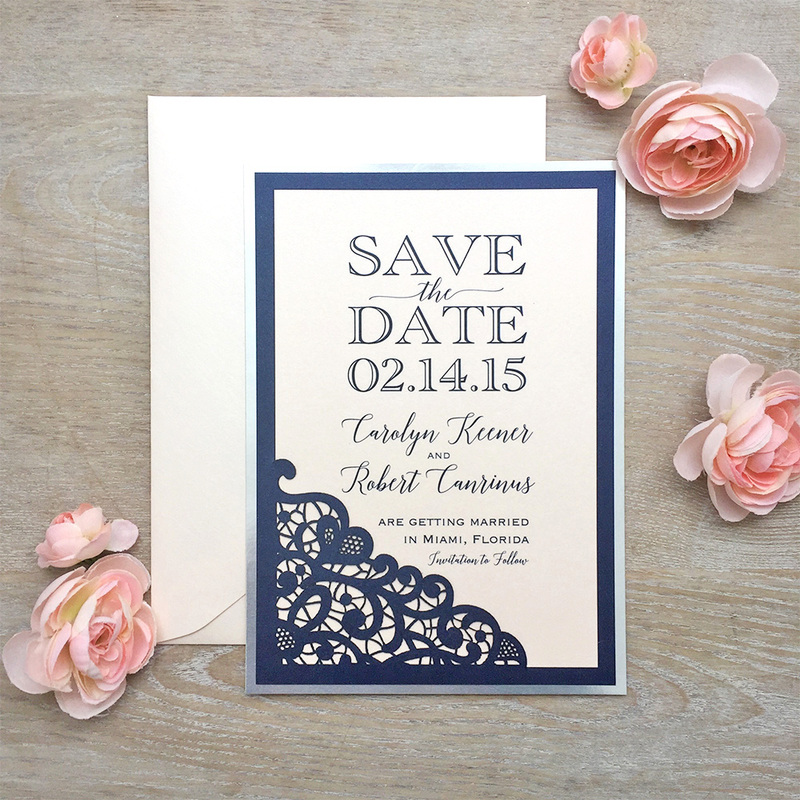 No matter which font style you choose to go with, make sure that it speaks to you, your fiancé, and your big day. 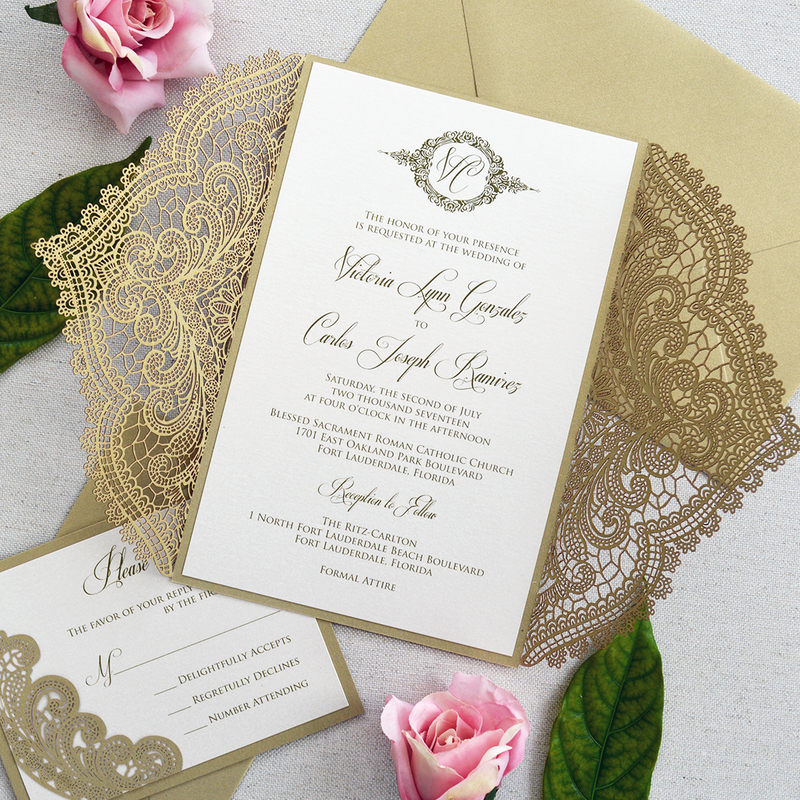 For more inspiration and to check out all of our available fonts, visit our PAPER & LACE customization page!